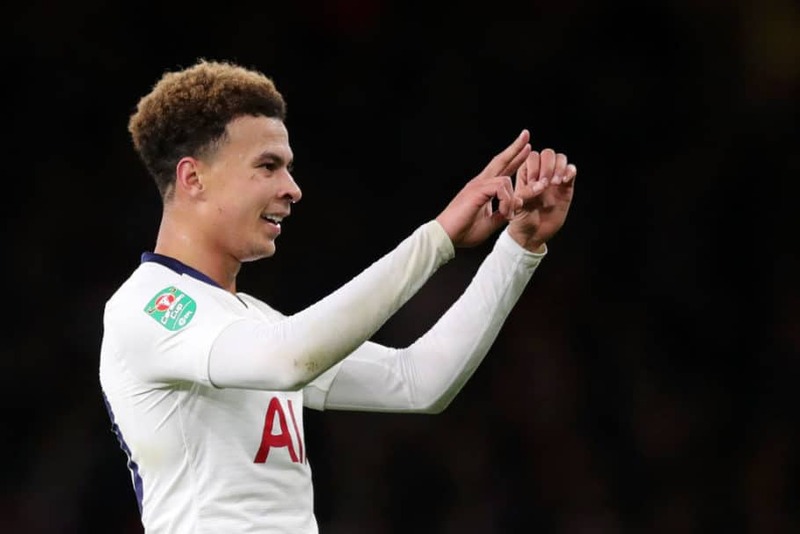 The FA will not punish Tottenham Hotspur midfielder Dele Alli for making a 2-0 gesture towards Arsenal fans during last night’s league cup match against Arsenal at Emirates Stadium. The 22-year-old was struck on the head by a water bottle thrown by an Arsenal supporter near the touchline as the home side prepared to take a throw-in in the 73rd minute. He reacted by flashing a 2-0 gesture at the supporters but according to Sky sources, he will not be punished for it. Tottenham was leading 2-0 at the time with Dele on the score-sheet. Meanwhile, Arsenal have identified the fan who threw the bottle and are working with police as investigations continue.